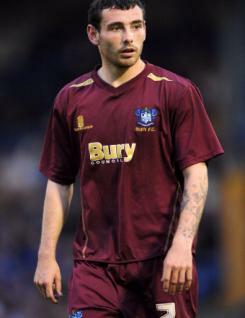 David Worrall is a winger who rejoined League Two club Bury in January 2010 after a six-month loan spell back at Gigg Lane.&nbsp; David began his career with the Shakers, making his Football League debut as a 16-year-old in November 2006. He was sold to West Bromwich Albion while still a scholar and went on to appear in Albion's first team in a Carling Cup tie against Bournemouth at the start of the 2007-08 season.&nbsp; David is a tricky player with pace and skill. He was on the fringes of the Albion squad during his time at the Hawthorns but has seen regular first-team action at Bury and continued to feature regularly in the squad during 2010-11.